Today is the eve of the 2013 G8 Summit. It’s being held in County Fermanagh, Northern Ireland. Reporters and cameramen, preparing for the event, have been roaming the streets of Enniskillen and the rest of the county for a couple weeks now and the town is the backdrop to their reports. I’m sure that viewers around the world must be curious about the place they see in these reports as well as about what’s happening at the G8. So that’s why I’ve chosen this day to celebrate the launch of my collection of articles about the county, Fermanagh Gems. – Politicians, journalists, the security forces and many others will be arriving in Fermanagh this weekend but none of them will come by train. Why? Because the last train came through the county in 1957. – It has been predicted that there will be a huge demand for electricity during the next few days as politicians, civil servants and journalists work frantically on their laptops, IPads and Blackberries. Access to electricity is taken for granted today but many areas of rural Ireland did not have mains electricity until the 1940s or even the 1950s. Belleek town in western Fermanagh was well ahead of many other places as Belleek Pottery’s waterwheel supplied electricity to the Pottery Works and the village from 1919. – Every town in the county is looking bright and fresh after painters worked feverishly for several weeks sprucing up buildings that needed to be revived. But buildings aren’t the only colourful thing you’ll find in Fermanagh. Irish fishermen are credited with creating the first colourful fly lures in the mid-1800s and Frankie McPhillips in Enniskillen’s Buttermarket has continued this tradition for more than 35 years. – On the first morning of the G8 Summit BBC Radio 2 Chris Evan’s Show will broadcast from the Graan Monastery outside Enniskillen. Why? Because Chris Evan’s guest is BBC radio presenter and journalist Fr Brian D’Arcy who is also the Rector of the monastery. Where did I get these snippets of information? No, I didn’t google them for this post. I’ve lived in County Fermanagh for the past decade and, over the years as I’ve have explored the county, I’ve written about some of its places and people for Ireland’s Own magazine. Recently I selected half a dozen of these articles and put them together in Fermanagh Gems. The ebook features six gems: a natural wonder, enduring or innovative institutions and a gifted craftsman. Some are well-known, others might be called hidden gems; each deserves to be allowed to shine. So I’m pleased to be able to present them in this ebook and launch it today. 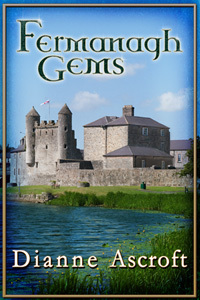 To mark Fermanagh Gems’ launch I’m offering 5 free copies to readers who comment on this post. Just leave a comment below and I’ll contact the first five respondents. This entry was posted in June 2013 and tagged Belleek Pottery, Dianne Ascroft, Fermanagh, Fermanagh Gems, Fermanagh railways, Fr Brian D'Arcy, Frankie McPhillips, G8. Bookmark the permalink. Hi! Diane: I know we have at least one thing in common — we both love listening to Frs. EMD’s music and going to their concert. 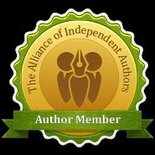 I would certainly like to have a copy of your new ebook, and if I have not been fast enough on the draw — can it be purchased through Barnes and Noble for the Nook? Congratulations, Dianne, on what you have achieved.